SHIRLIE MAE (OCKEY) PAUL, passed away peacefully Saturday, April 6, 2019 in the Good Sam’s of Magrath, Alberta at the age of 84 years. She is predeceased by her husband, James (Jim); her oldest & youngest sons, Ken & Kevin; a grandson, David; her parents, LeRoy & Olive Ockey; her brother, Eddie Ockey. She is survived by 3 children, Randy (Cathy), Mike, Nancy (Henry) and a daughter in law, Liz. She has 6 grandchildren & 6 great grandchildren. Shirlie lived in Beazer & Cardston most of her early life. She married in 1953 and had 5 children. In 1968 Jim & Shirlie moved the family to Lethbridge. They had a busy life and they enjoyed their time in the LDS Church. They really enjoyed camping and family gatherings. They loved being grandparents. And this was a reason for moving to Magrath in 1982. The kids had room to run and explore. Also Shirlie loved the quieter community. Shirlie and Jim enjoyed the friends they made in Magrath. They joined the Good Sam organization, Bridge Towners Chapter. Shirlie enjoyed working the Calgary Stampede with fellow Good Samer’s. All the Samborees they went to gave them many memories and stories they could tell. They were members and quite involved with the Senior Center in Magrath. Shirlie enjoyed this because after Jim passed she kept busy with Church and the Quilting ladies and all the wonderful suppers and parties. Shirlie will be missed by Family and Friends. 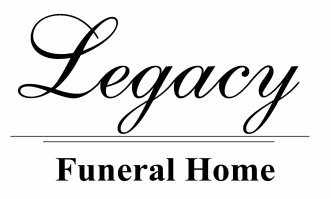 The Funeral Service will be held at The Church of Jesus Christ of Latter-day Saints, GARDEN PLACE CHAPEL, Magrath, on Friday, April 12th, 2019 at 12:00 noon, with Bishop Byrne Cook officiating. Friends may meet the family on Friday from 11:00 to 11:45 a.m. prior to the service. Interment to follow at the Cardston Cemetery. In lieu of flowers please donate to the Cancer Foundation.